Athletic Training - SRU Foundation, Inc. Contributions to the Athletic Training Foundation directly benefit the students enrolled in the Athletic Training Program. Funds in the foundation are used to support educational opportunities, enhance student learning, and recognize student achievement. The foundation is supported primarily by alumni contributions and faculty payroll deductions. Dr. Hannam began her career at SRU in 1987 as a faculty member for the Athletic Training Program. In this role she not only taught classes in the program, but also served as Head Athletic Trainer for Rock Football – the first female to serve as a football head trainer in the Pennsylvania State Athletic Conference (PSAC). As co-director, the Athletic Training Program was one of the first 11 programs in the country to be granted accreditation in 1994. In 2001 Dr. Hannam was elected Chairperson of the newly formed Department of Exercise and Rehabilitative Sciences. Under her direction, both the Exercise Science and Athletic Training programs grew in both reputation and enrollment. Dr. Hannam became Dean of the College of Health, Environment and Science in 2005. Esther Lynne Geissel graduated from the athletic training program in 1992. During her untimely passing she was the head athletic trainer at Olivet College. The Esther Lynne Geissel Scholarship was established in her memory by her parents, George and Roberta Geissel, and her family and friends. 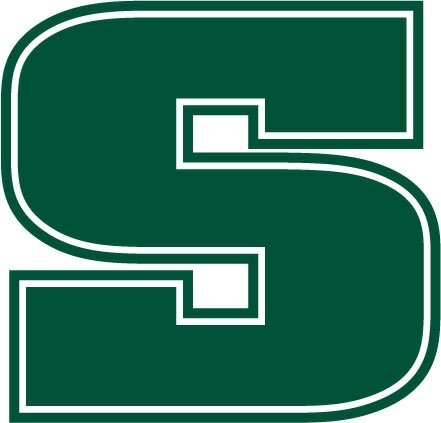 Bonnie was a proud graduate of Slippery Rock State Teachers College (Slippery Rock University) where she received her degree in Health and Physical Education. She taught at St. Mary’s School District for 6 years before coming to Brockway Area School District. In addition to teaching health and physical education, Bonnie also taught social studies at Brockway for 32 years. She retired in 1993. Her passion for teaching was exceeded only by her love for her students.